Emcees of backyard barbecues usually take the two-stage approach to meals. Entrees, such as burgers, steaks, and fish, occupy the grill grates. Appetizers, such as salads, dips, and snack mixes, relegate themselves to a side table. To exclude appetizers from the grill is a damn shame. 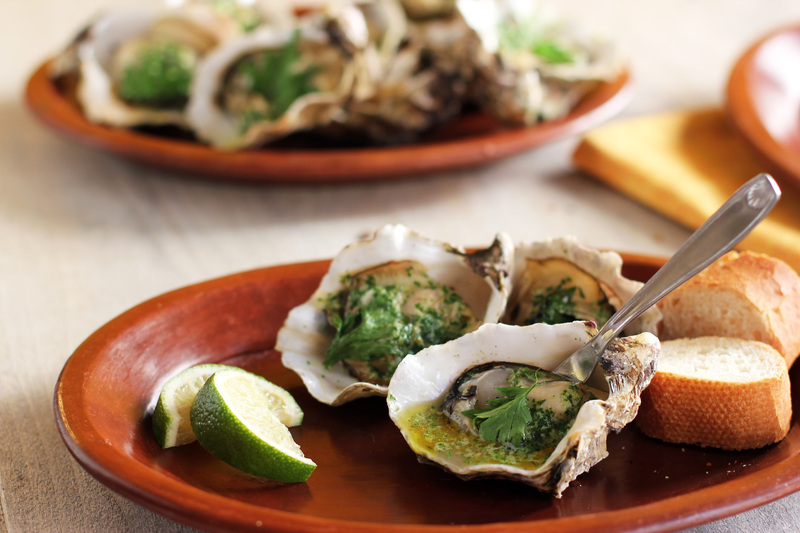 Allow the following recipe for smoked oysters to offer you an entry point. “Medium to large oysters won’t overcook easily, require no additional tools, and they have their own cooking vessel: the shell,” says Brian Howard, chef of Comme Ça in Hollywood and Las Vegas. Just pop the bivalves on a grill and watch their shells part, revealing their tender meat inside. Dress that meat with a sweet-and-sour-and-spicy sauce and you’ll blow away anything served on that side table. But, seriously, unless you somehow pilfer a few for yourself, there won’t be any smoked oysters leftover. 2. Preheat your grill to direct, high heat. Place the wood on the coals or in a smoker box and close the grill lid to generate smoke. Put oysters over direct heat on the grill, close the lid, and smoke until their top shell opens, about 4 minutes. 3. Transfer the oysters to a plate, discarding any that do not open when pryed gently with the tip of a butter knife. Spoon the sauce over the oysters and serve. Makes 5 servings, as an appetizer.